Love giving a gift… but hate trawling the shops or internet? You need to check out UnderWraps. This new online gift-finding service helps busy people find thoughtful gifts without the shopping hassle. By combining personal gift-shoppers, a clever bit of tech, and a curated Gift Collection that celebrates independent makers and designers, they’ll take your gift ideas and make them happen. Here in the Cardiff-Times office we set them a challenge to find a unique and interesting gift for an up-coming birthday and they jumped straight to it. They set up a 5 minute call to learn more about our lucky gift recipient, then had 3 gift recommendations with us within 24 hours. We picked one and it was delivered in time for the big day! They also send you a ‘cue-card’ to remind you what gift you chose and why it is special too! Get yourself some gift-finding magic for Christmas by signing up (for free) before 5th December at www.underwraps.co and add the details for who you want to buy a gift for, then the UnderWraps team will get to work on your three gift recommendations. Pick your gift and then the team will take care of the ordering for you, arranging delivery, all beautifully gift-wrapped. Choose from your three gift recommendations and once ordered all gifts are delivered to you or direct to you gift-recipient. Most gifts are beautifully wrapped too. “The gift choice is always yours, we just take away all the time-consuming elements so you don’t have to trawl through the internet or along the high street to find really interesting gifts. Plus, once a birthday or anniversary is saved in your UnderWraps account you’ll never forget again as we’ll always remind you well in advance.” Explains Christina Richardson, co-founder of UnderWraps. Our unique, thoughtful gifts are all sourced from our curated Gift Collection. Our team have pounded the streets and scoured the web to discover the up-and-coming designers and independent British makers you really want to know, curating an ever-growing collection of lesser-known gems, with products starting from £25. 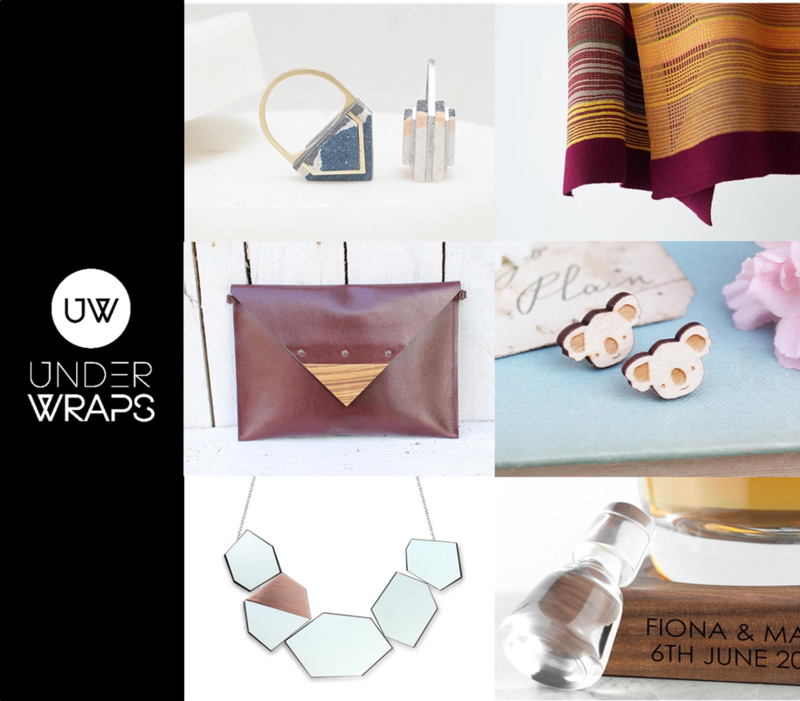 That way, UnderWraps really is the easiest way to find thoughtful gifts without the hassle.